Thanks for reading- This article does not imply that all allergies can be prevented. We are merely sharing that early exposure can be helpful in preventing some allergies. 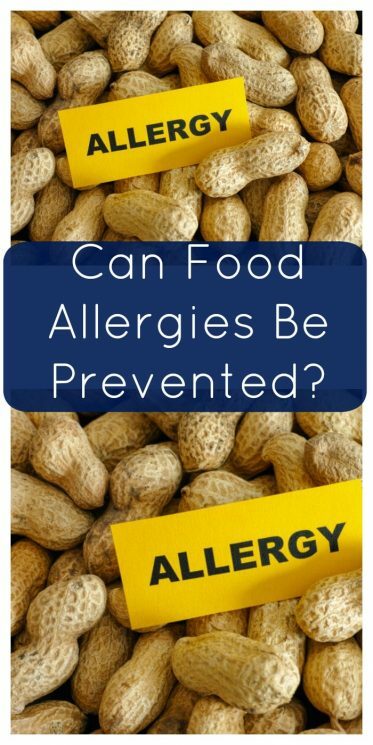 You’ve probably heard that the occurrence of food allergies is on the rise. Between 1997 and 2007 there was an 18% increase in food allergies in children under 18 years old in the United States. But did you know that there are ways to help prevent food allergies in your little one? Here is the current advice from the American Academy of Allergy, Asthma, and Immunology. Highly allergenic foods, such as dairy products, peanuts and tree nuts, eggs, soy, wheat, and fish and shellfish, can be introduced to baby between four to six months of age in the same manner as other solid foods. Introduce highly allergenic foods after other less allergenic foods have been fed and tolerated. Introduce a new food every three to five days as appropriate for your infant’s developmental readiness to prevent choking. Introduce highly allergenic foods at home rather than at day care or at a restaurant. If there is no reaction, gradually increase the amount of the highly allergenic food. Your infant has had an allergic reaction to a food. Your infant has a known food allergy. You suspect that your infant has a food allergy. Despite recommended treatment, your infant has moderate to severe atopic dermatitis (eczema). Your infant’s sibling has a food allergy. 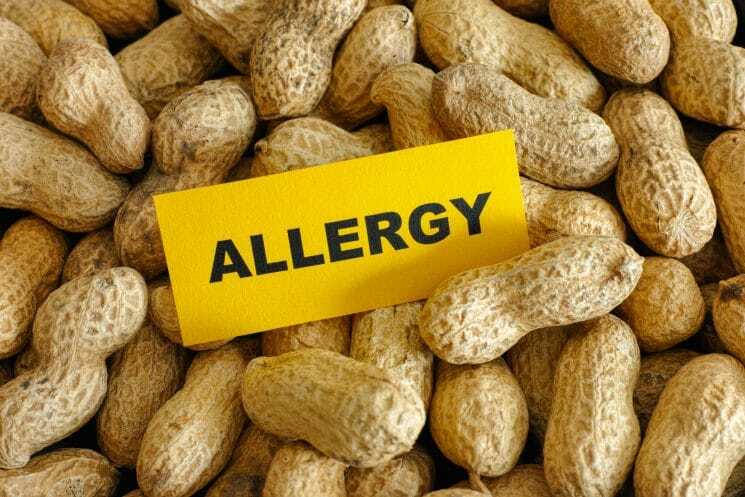 Your pediatrician may want you to see an allergist or immunologist for an evaluation and an individualized plan for introduction to highly allergenic foods. A recent study published in the New England Journal of Medicine showed exciting results for parents who are concerned with food allergies. The study found that early introduction to a peanut product can significantly reduce the rate of peanut allergy in a high risk (meaning those with severe eczema and/or an egg allergy) group of infants. Based on the results of this study, several professional medical associations recognize that there is strong evidence supporting introduction of peanut product between four and eleven months of age in high-risk infants. More formal guidelines on feeding of a peanut product to infants are set to be published within the coming year. With previous guidelines advising parents wait to give highly allergenic foods until 12 to 36 months in children at high risk, this is exciting information, especially for parents who are introducing the world of solid foods to their precious babies. Nut, legume & other allergies. They are REAL and this article is a bit miss leading. Both my sister and I discovered at a very early age (one y.o. +/-) that we had severe allergies to peanuts and almost all tre nuts. Sister had pea allergies and later on I discovered mild soy issues. Our Mom and Dad, under advice of a doctor, attempted to introduce us to various nuts gradually. .. but regardless of how these came to us our body reactions violently opposed the attempts. At parties, schools (peanut butter commodities to the cafeteria was huge! ) & even cross contamination from serving utensils would set off reactions; many times ending us up in the ED. Fast forward 50+ years and we still have the same allergic reactions! This past Christmas at a potluck dinner I was exposed to some form of pine nut cross contamination, and “lost my cookies” before realizing what had hit me! Please do not trivialize nut and related allergies! Yes, some may get over it in time… but many of us never will.